I had a very normal morning. No children yet. Working for the State Dept. Of Ed at a school in N. Charleston. A teacher came into my office and told me to turn on the radio (it was a poor school) because a small plane had crashed into a skyscraper in NYC. I listened in in complete confusion as other faculty poured into my small, windowless office to hear the commentators try to make sense of what was happening on CBS radio. I remember the utter horror and disbelief I felt when I heard another plane crashed into the second building and that both were in flames. Ran to the cafeteria, sent students back to their home rooms, and turned on the TVs just in time to see the first tower collapse on live TV. That image is forever seared into my memory. Watching in shock as the other collapsed and people fled in every direction. I remember going back to my office and hearing on the radio that all flights were being grounded. I walked outside and the air above Charleston was filled with planes waiting to land. The radio confusion about a plane hitting the Pentagon and the “missing fourth” airliner. When they finally found United 93, they said it was going to be shot down. We later learned that courageous people crashed it intentionally to save the lives of others. “Let’s Roll” took on a new meaning. Frantically trying to get in touch with my dad, a resident of Manhattan, only to be face with jammed phone lines. Thanking the Lord when we finally connected. He was there in NYC and didn’t believe me when I told him the towers had collapsed. All electricity in his office building had gone out and the phones had not been working. He knew only of a plane crash. Amazed that I knew more than he did. Learned that his only personal loss was his laptop computer which was being repaired in One World Trade Center. Remembering the many trips we made to the towers growing up and how Papa used to work in one of them. I remember watching the news with a deep sense of foreboding for days. Schools, jobs and sporting events cancelled. Flights grounded. Wondering what would happen next? I couldn’t tear myself away. I’ve never been more frightened in my life. The death toll increased to a magnitude I could hardly comprehend. It seemed so senseless and unspeakably cruel. The posters of people looking for loved ones moved me deeply, making the horror more real to me. Strange names and foreign lands filled the news. I remember thinking: What have we ever done to Afghanistan? Who is Osama Bin Ladin and why does he hate us so much? Al Qaeda, Taliban? I remember taking comfort in the many stories of bravery and self-sacrifice that emerged over the next few days. Flags flew in unlikely places. Every vehicle on the road sported a patriotic bumper sticker. Our country came alive with a common cause. I thought that things would never be normal again after such great loss. That I can sit on my front porch swing watching my boys play in the yard while I type this post on my iPhone, while those who sacrificed greatly for my safety may not have that same luxury today. That this afternoon I will go watch a friend play in a tennis tournament and then watch college football. That life is so… normal. 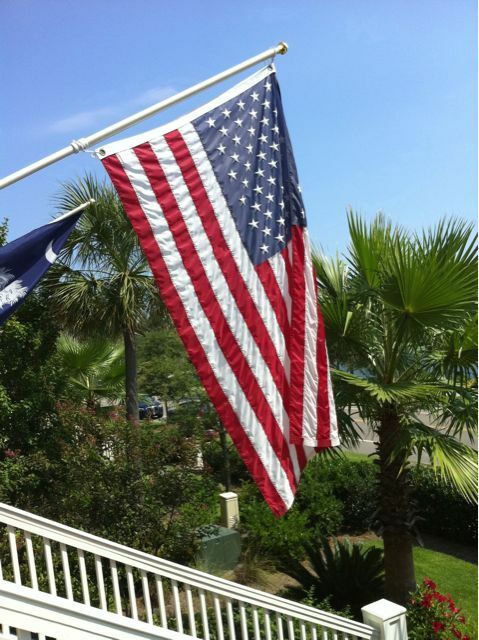 That, as I type this, the flag on our front porch is waving in the breeze and I realize it has been a long time since I looked at it and reflected on all it stands for. I say I will never forget. But as time passes, I want to be sure that I really never do… Not just on September 11th, but I want the lessons learned on that fateful day to become part of who I am — not just a distant memory. 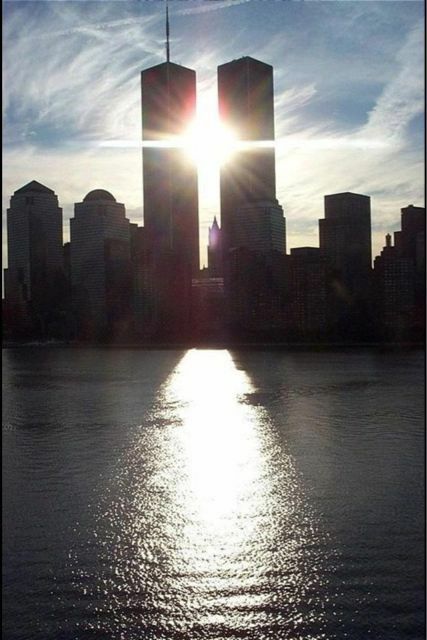 Photo of towers courtesy of my friend Kelly Benedict’s Facebook photos.